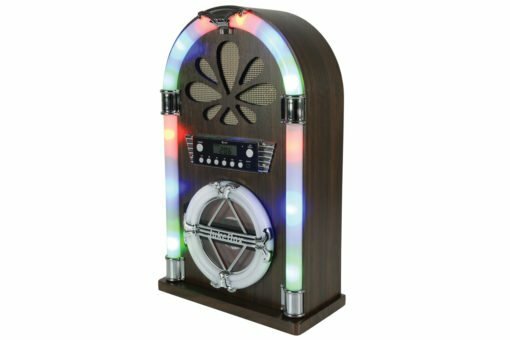 The QTX Roadhouse Mini Jukebox with Bluetooth, CD Player and FM Radio – also with IR Remote Control – This saloon bar style Jukebox also has a great light show to match; music simply comes alive with Roadhouse! 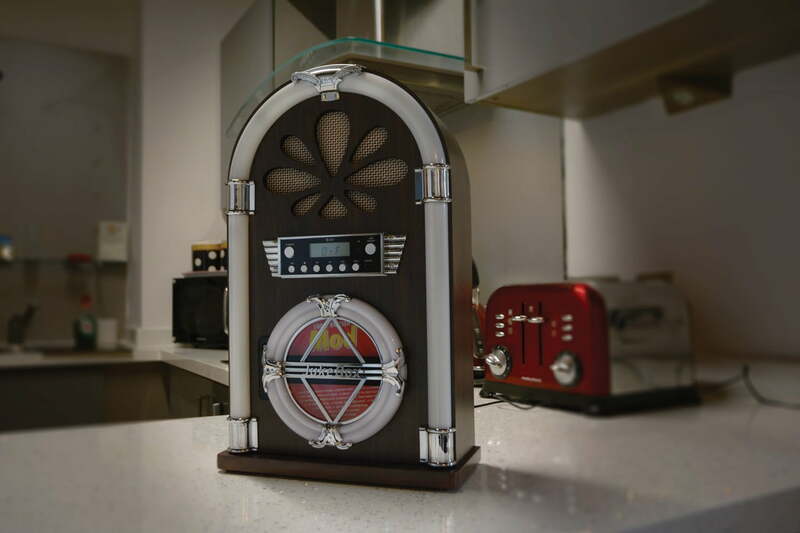 At home or work; it’s a sure-fire conversation starter! 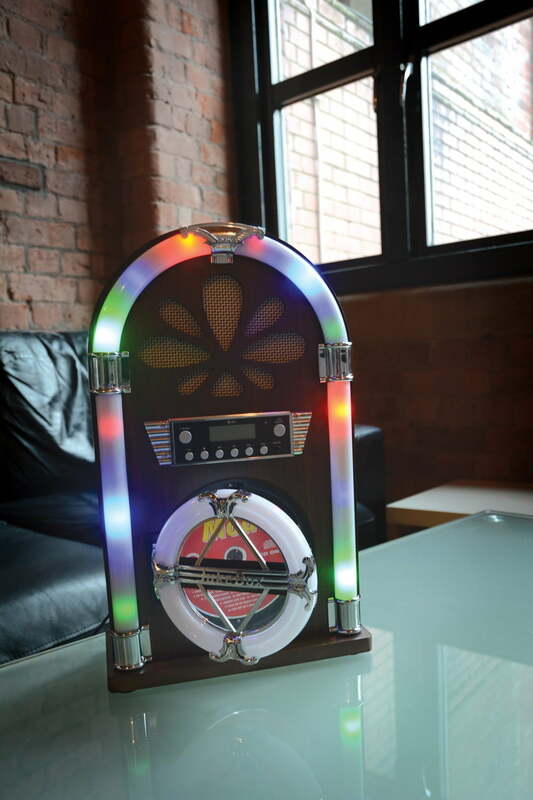 Roadhouse is a timeless music player; inspired by the golden age of pop, combined with the latest in audio connectivity. 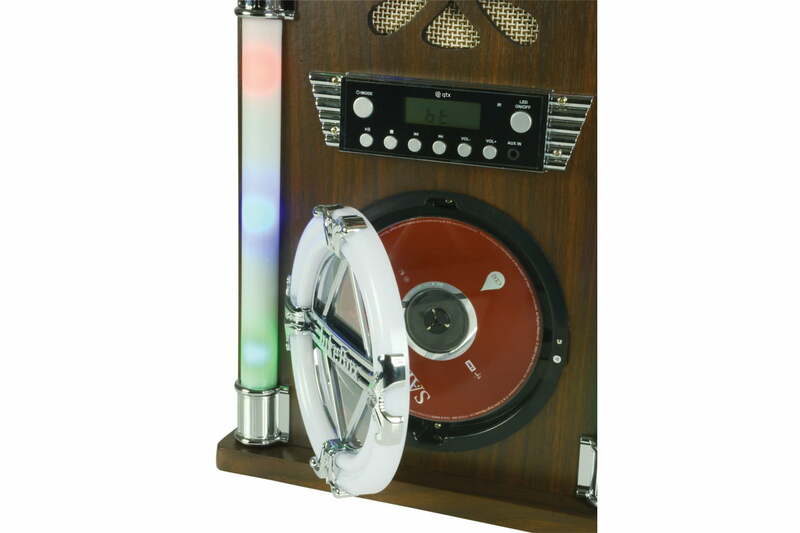 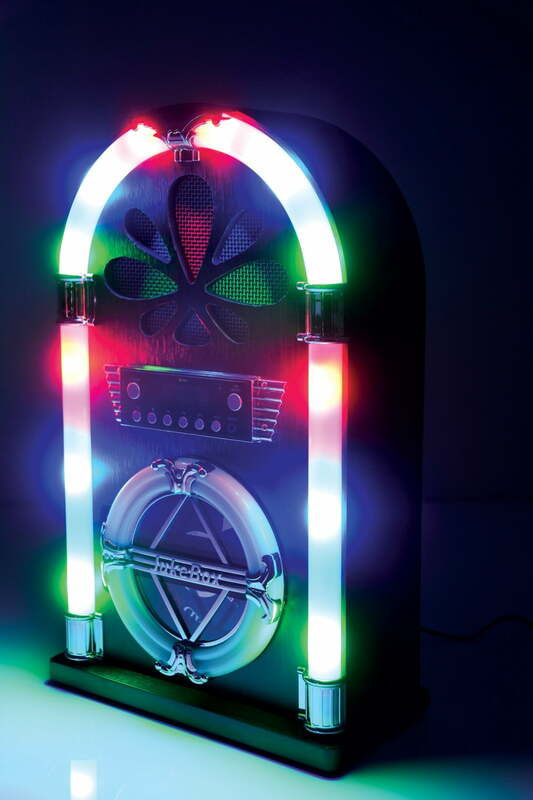 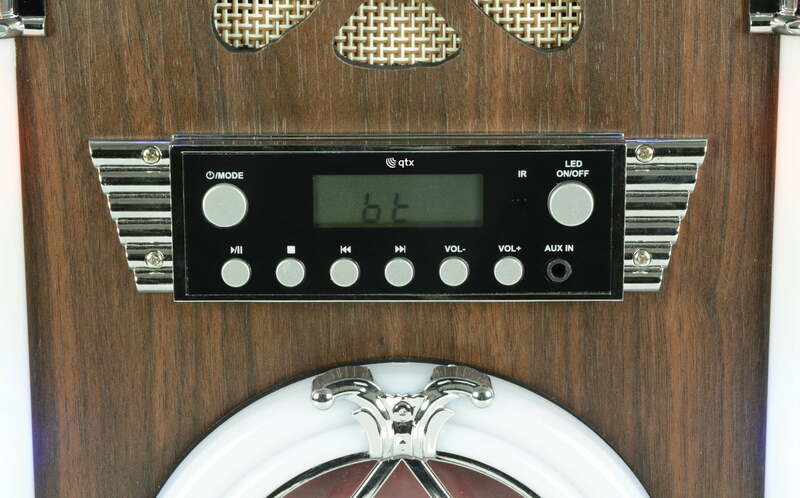 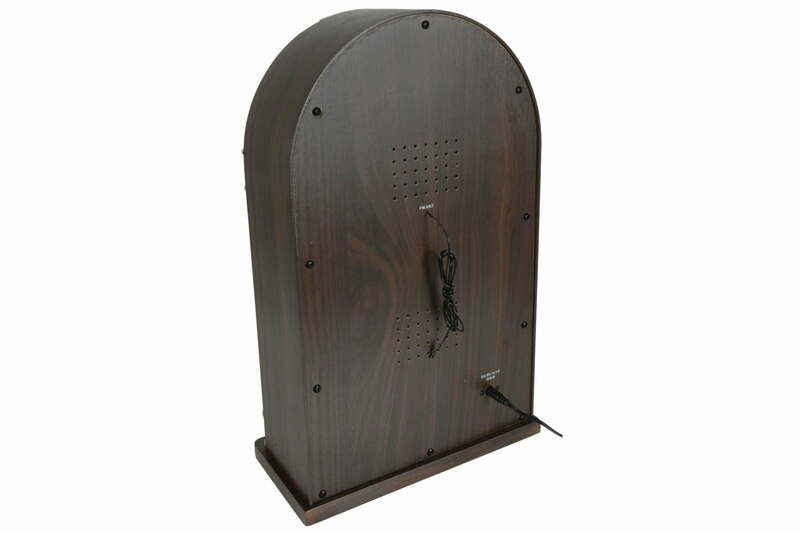 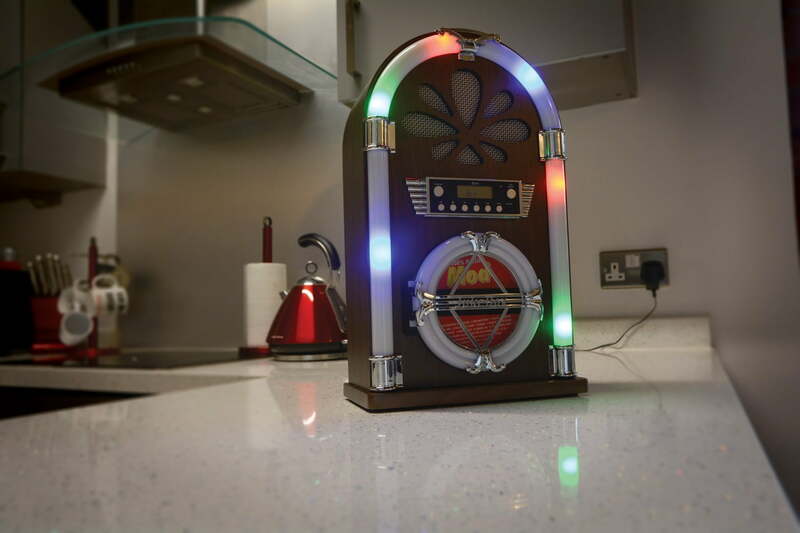 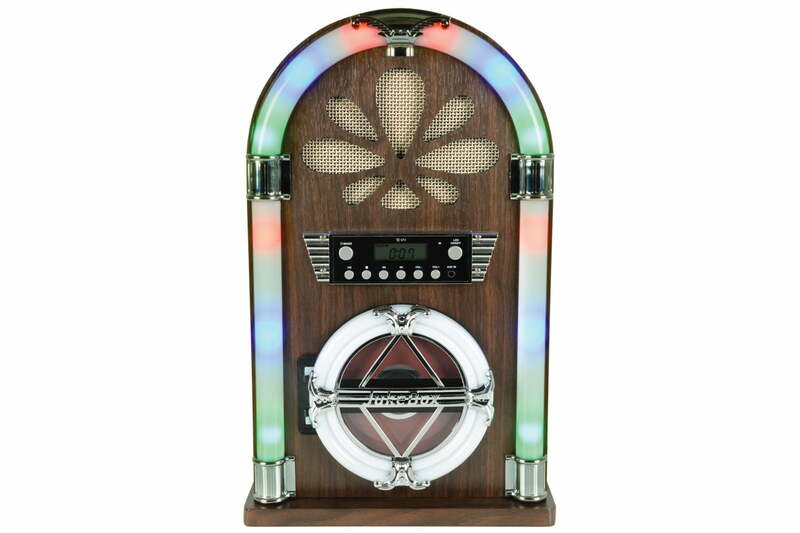 Besides traditional CD and FM radio; the Roadhouse Jukebox offers wireless pairing for Bluetooth devices; plus a 3.5mm aux input for wired connections to mp3 players; phones; tablets; laptops and more. 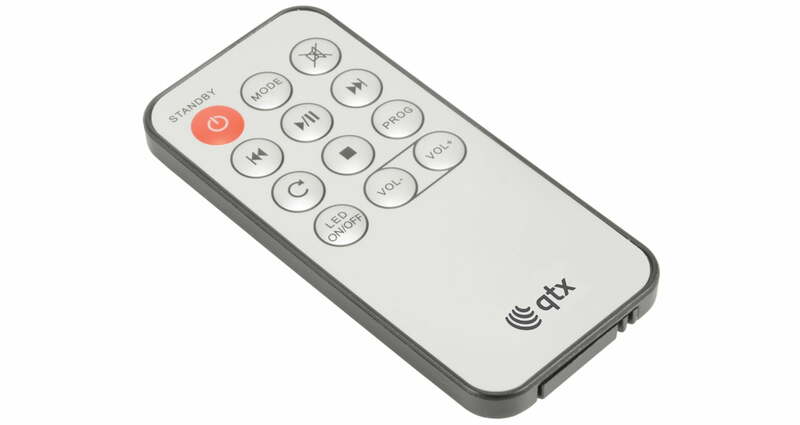 Mode selection; CD programming; track navigation; light show bypass and power on/off can all be controlled via the compact, IR remote control.